Hearing what our patients say about us makes our jobs so rewarding. Helping people look and feel great is the best part of what we do! Take a moment to browse our testimonials to learn what others are saying about us. 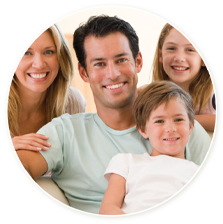 We look forward to providing you with the same outstanding dental care our current patients enjoy. The office is very clean and modern. There is a focus on comfort and customer service. 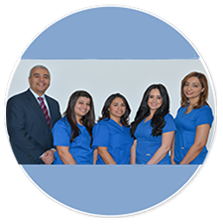 The dentist is efficient, very caring and committed to having an excellent staff. My experience with Dr. Labib was superb! I just can't explain it! Let me first start by saying I haven't visited the dentist in YEARS due to fear and anxiety. I had a consultation with Dr. Labib a week ago and today I had a procedure done. Throughout the procedure I felt nothing... no needle pricks or pain from other instrumentation. He explains what he was going to do before and during the procedure and that was very reassuring for me. For me, this experience had boost my attitude for visiting the dentist more often in a relaxed manner. P.S. The staff is also great at what they do... They're very hospitable, caring and understanding. I am very happy with the dental office. They made me feel welcome and relaxed. Best service ever! And I truly mean that. I entered the office as an emergency patient and after months of grueling intensive procedure, my teeth are perfect. Even though there was so much work to be done, I never felt anything negative. Everyone was amazing and supportive. I give 5 stars plus 5 more in everything. Thank you so much for all you have done for me. Me and my small crazy mouth are forever grateful. Dr. Labib has been truly wonderful and patient during the whole process. I was very apprehensive to have work done without gas but he assured me that I would have minimal pain. He was right. His bedside manner deserves an A+. He was super. Truthfully I hate dentists but I did not feel anything but a pinch all because I moved. I am looking forward to coming back. Dr. Labib was very comforting and handled my fear & anxiety very well. he explained everything before he did it and gave me a button to press just in case I had any pain, funny thing is I didn't even use it! It was a great experience. The office was clean and high-tech. My experience at Trinity Dental with Dr. Labib has been an enjoyable one. He is caring and takes his time with even the most difficult of patients such as myself. As someone who is terrified of needles Dr. Labib worked with me to make sure I felt no pain. I can definitely say that he is one of the best dentists that I have gone to.